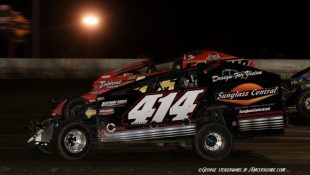 ROBERTS IS PLANNING TO COMPETE AT NEW EGYPT SPEEDWAY IN 2019 :Racers Guide – The Web's #1 Racers' Online Directory! 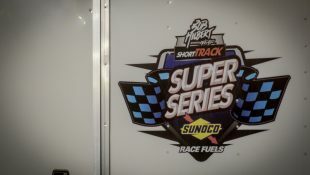 Sicklerville, NJ (February 2, 2019) – With the dawn of a new racing season starting in March, one racer is making plans a move to a different track in 2019. Brad Roberts, who has primarily raced at Bridgeport Speedway, will be competing at New Egypt Speedway this year. 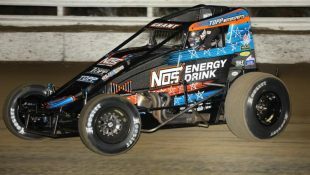 “I have decided to call New Egypt Speedway my home track for 2019 and I will be racing in the Sportsman class,” said Roberts. Roberts comes from a strong racing background. He is the grandson of veteran driver Ron Roberts. After watching his grandfather compete for many years, Roberts began his own racing venture in 2011 and the Newport, DE driver has had several strong seasons. In 2013 and 2016 at Bridgeport Speedway, he finished third in the chase for the Sportsman championship. 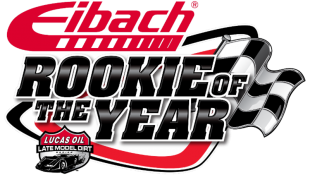 Last season, he collected two feature wins at Bridgeport Speedway while finishing eighth in the Crate Sportsman standings. For his career, Roberts has racked up a total of eight feature victories. 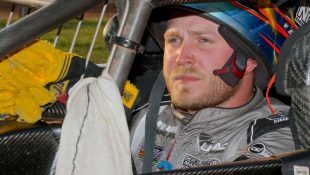 Although he has only raced at New Egypt Speedway a handful of times, Roberts is looking forward to the challenge and he will be well equipped at his new home. “The first time that I raced at New Egypt Speedway was towards the end of the 2017 season. The track is very well lit and I do like the configuration. I have a brand new Jimmy Weiss Sportsman engine that will be bolted into my 2013 Bicknell car. This should help me be very competitive and I can’t wait to get started. Also, I have to thank my current marketing partners including All County Garage Doors, Array of Monograms, Buffalino Fabrication, CIL Underground, ERK Steering Repair, Nitro Graphics, Roberts’ Motors, and Ronnie’s Auto Repair,” stated Roberts. Brad Roberts Racing has affordable and customizable marketing partnerships available for the upcoming 2019 season. Interested parties should contact Mike Wisniewski from Wiz Motorsports Communications at mikewiz1962@yahoo.com to obtain a marketing partnership portfolio. Wiz Motorsports Communications delivers customized and professional marketing solutions for racers and race tracks. To discuss your particular need, contact Wiz Motorsports Communications at mikewiz1962@yahoo.com.